ARR RAW Round Table Discussion with Travellers. Grant Johnson, Brian Rix, Shirley Hardy-Rix, Sam Manicom and Jim Martin. It’s a dangerous situation for a motorcyclist to be caught in traffic, the stop and go, distracted drivers, etc. The University of California at Berkeley published a report in May 2015 that says “motorcyclists who split lanes in heavy traffic are significantly less likely to be struck from behind by other motorists”. Lane splitting and filtering are a normal practice in many countries…Europe…Asia… riders are expected and sometimes required to pass between vehicles and advance to the front of the group. If you are not accustomed to lane splitting and filtering (prohibited in most of United States and Canada) and you go to a country where it is law or expected, how can you be prepared for that? What if you don’t want to lane split - it’s too scary or intimidating - how do you handle that? Do you avoid it? Just not do it? Essential Repair Skills & Tools? How to Deal With Breakdowns? How prepared do you really need to be? What are the do it yourself repairs you should learn before you go? Tire changing, chain adjustment, oil change? Can help usually be found easily? Is it a good idea to carry sprays, other wildlife defences? What sort of defence tools do you take with you? What sort of things can you do to deter animal encounters? PLUG: Got a busy time coming up in the USA. 7 weeks in May and June riding Arizona and S California on an Al Jesse BMW F800GS. 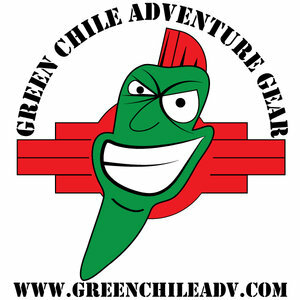 Overland Expo West in Flagstaff Arizona – May 20th to 22nd – Presentations on Vietnam and Norway, classes on Sponsorship, Travel on the Cheap, getting your book published and a series of round table sessions. Riverside BMW during June too. – Presentation – Days and times to be confirmed. Posted on April 15, 2016 by Elizabeth Martin and filed under Travel, Driving Skills, Wildlife Encounters, Tools, Essential Repairs and tagged Filtering motorcycle traffic Safety Essential Repairs skills tools breakdown wildlife Grant Johnson Horizons Unlimited Alpify Sam Manicom Gator Grip Overland Expo BMW 49er Rally BMW Shirley Hardy-Rix Brian Rix Andy Strapz Author Adventure Rider Radio RAW ARR RAW Jim Martin lane splitting 2016-a.